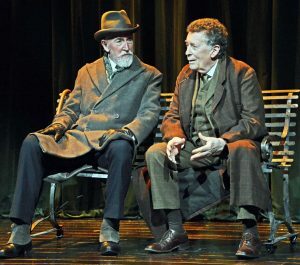 AS HE sets out to play an ageing Sherlock Holmes, veteran actor Robert Powell is struggling to see any similarities between himself and the legendary sleuth. In Sherlock Holmes: The Final Curtain, the great man has retired and is living in a cottage in Sussex, keeping bees and avoiding his old enemies, but Powell, who turned 74 last Friday (1 June) and is probably best known for his 1977 TV role as Jesus of Nazareth, says he can’t see himself in retirement. The production will be at the Yvonne Arnaud Theatre, Guildford, from Monday 18 June to Saturday 23 June.